While it’s true that aerating your wine usually improves its flavor, a wine decanter is probably your best bet. It’s an inexpensive piece of glassware that doesn’t require batteries. 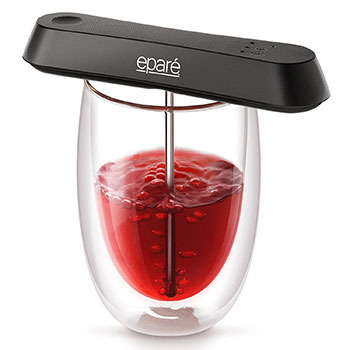 The eparé, on the other hand, is a battery-operated piece of plastic that, according to the detailed, non-suspicious reviews (as opposed to the cheerfully vague five-stars,) doesn’t work, or breaks soon after arriving. It’s the cousin of Sonic Foamer, the ultrasonic beer-coaster that causes your beer to fizz, a process usually undertaken by pouring beer into a glass. 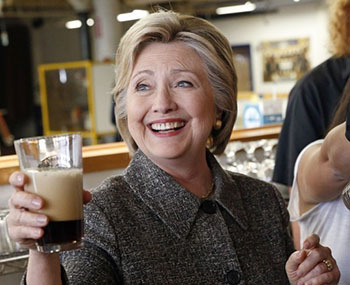 Precipitate too much of the gas out of your beer, and you’re worse off than when you started.